My name is Vivien Barbier and I’m a client relationship interns for Zidisha in Kenya. Today, I visited Mr David Kiburi in Ongata Rongai and I had the privilege to get inside his car. When his shoe shop had to be closed three years ago because a brand new shopping mal was about to be constructed at the same place, David had to adapt and find a new way to sustain his family. He sold all his inventory took a bank loan and bought a car to become a taxi driver. During the first two years of his taxi driver life, he kept the car and the loans that came with it. The business was working well at the time but it was difficult to reimburse the loan and to pay the interests while making enough profit. David decided then to sell the car, reimburse his debt and buy a second-hand car using his savings. The car was not in a very good state and needed some improvements. David explained me that in the taxi business, it is very important to have a nice car. Customer always prefers to have a clean and confortable taxi, so David’s taxi business was not working so well at that time. 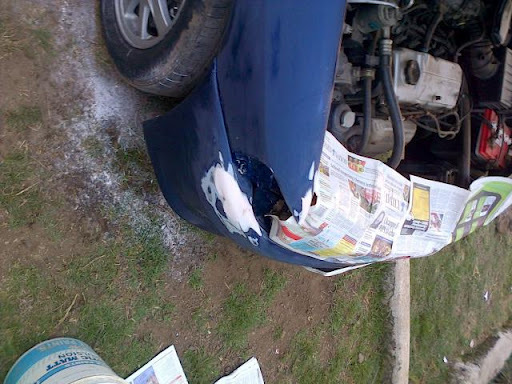 David used Zidisha’s loan to perform these improvements; he painted the car in blue and installed brand new dampers. When I was visiting David, he was in a garage putting the final touch at the car. Even if these improvements are really recent, less than 3 weeks, the results can already be seen. Daily revenue went from around 1500 KES (18$) to around 2000 KES (24$). During the week, David works between 7am to 6pm but during the weekend, since many people uses taxis to go out and to come back at night, David works during the night. When he is not driving the car, he has an employee who drives it for him. Then they split the revenue in 3 equal parts: one for the driver, one for David and one in a fund reserved to pay for the maintenance of the car. David is a family man and is very proud of his family; he has two children who are 4 and 12 years old. He is sending them to private school because the quality is better than in public school. He explained me that in public school there are 50 children per teacher while in private school there is 1 teacher for 15 children. It cost him 42 000 shillings (535$) per years to send his two kids to private school but he wants his children to have a good start in life. Greetings from Nairobi! While I’m officially here for research, what better opportunity to engage with Zidisha on the ground? East Africa is home to countless Zidisha entrepreneurs and a handful of client relationship staff that I’m eager to meet during my two-month stay. To convey the climate in which small businesses are operating, I will attempt to convey some of my first impressions. From the capital city’s central business district to packed thoroughfares bordering the Mathare slum, streets teem with commercial activity. Massive foreign direct investment pours into Kenya via multinational firms like Goodyear, General Motors, Toyota, and Coca Cola. But homegrown industry abounds, too. Public busses buzz from stop to stop amid vendors and suit-clad commuters. Flashy smart phone displays adorn Kenyatta Avenue, often alongside high-end retailers and alluring eateries. Cell phone and Internet service centers are ubiquitous, feeding a keen taste for the latest digital gadgets and gizmos. 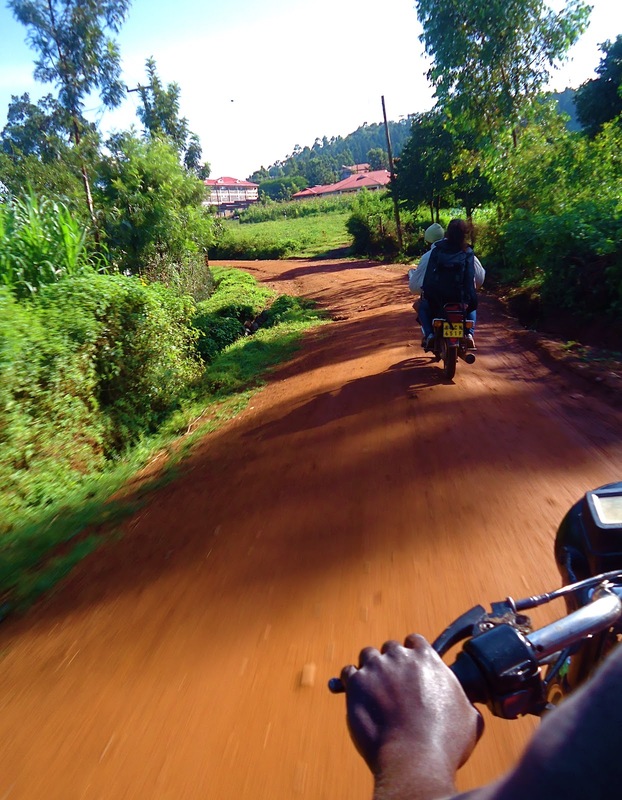 Now, let’s take a ride outside Nairobi—home to nine of ten Kenyans. Beyond the Great Rift Valley and sweeping central highlands lies a bona fide agrarian gem. In Western province, verdant swathes unfold around each bend, unveiling the backbone of Kenya’s key export industries: coffee, tea, and sugar. The East African nation also exports more roses than any other country on earth. Toward Tanzania, cornfields pepper the corridors linking one village to the next. Major routes spanning hundreds kilometers ensure punctual, unabated trans-national delivery of goods to the Indian Ocean and other regional trading partners. Community after community brims with welders, carpenters, and shopkeepers. Spectacular craftsmanship is a guarantee at every turn. Bumping down a road tucked into the countryside, I noticed an elderly woman seated on a rock. Before we drove out of sight, a glimpse at her right hand confirmed another conspicuous mainstay of Kenyan society: cell phones. Without a paved road in sight, a portable banking device rested at her fingertips. M-PESA (the same technology that facilitates business transactions for hundreds of Zidisha clients) is Kenya’s mobile money transfer service. M-PESA represents a paradigm shift. It leverages recent advances in telecommunications to lubricate Kenya’s economic machine, so whether you’re in Bongo, Kakamega, Nairobi, or Nakuru, one of Kenya’s 23,000 unmistakable green M-PESA agent booths is never more than a stone’s throw away. Even the most basic phones allow users to transfer, receive, deposit, and withdraw cash from anywhere in the country. Plus, successive years of robust economic growth point to a business climate increasingly conducive to job creation. Kenya’s unemployment rate has fallen 10% since over ten years. 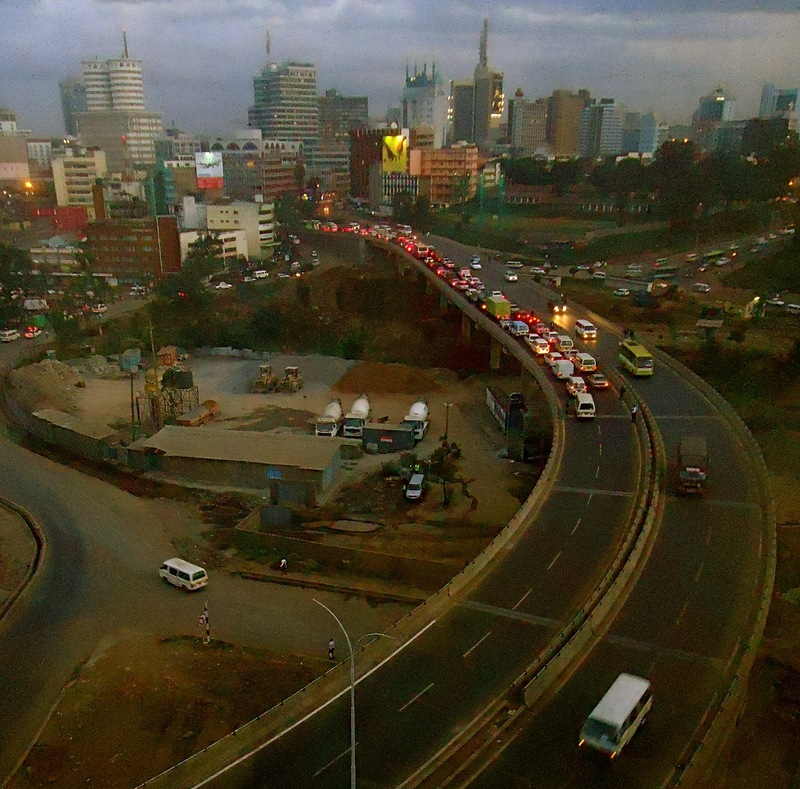 Last week, the nationally circulated Business Daily honed in on Kenya’s bid to reach middle-income status by 2016. Cutting-edge digital infrastructure, coupled with promising macroeconomic data, bodes well for Zidisha entrepreneurs like Julius Mburu. It puts control over financial management into the hands of business owners unsatisfied with or unable to access the traditional banking sector. That’s how microcredit empowers. It expands that portion of the population equipped to seize the reins of their own pursuits and in turn, their future. It contributes to a mindset that restores dignity and breeds self-reliance. In the coming weeks, I will undertake to see for myself the human connection that flows through every Zidisha loan. Until then, try focusing on those aspects of life in which your action makes a difference. To the extent we are able to pinpoint and expand upon these activities, the future looks bright for all of us.